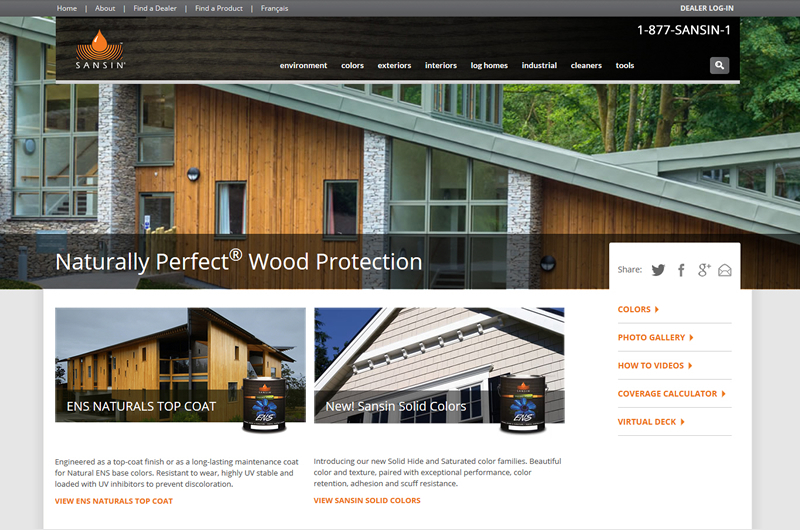 This lush site shows Sansin’s beautiful wood protection products. An environmentally-progressive business based in Canada, Sansin’s unique colors are inspired by the stunning beauty of our world. This new site was designed by Tyson Hynes of Nova Scotia, and implemented by ruby slipper and Happy Dog Web Design.